NEW!! 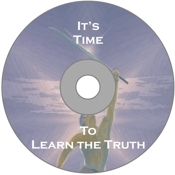 Get the 'CtC Video DVD'-- six informative and inspiring videos-- included free on request with any order of 12 or more books (any combination of titles)!! Send Book(s): Cracking the Code $30 or see table below. Send Book(s): Upholding the Law $30 or see table below. Send Book(s): Was Grandpa Really a Moron? $30 or see table below. Send Companion CD(s) (More Info) $25 or see table below. Send "I Cracked the Code" T-Shirt(s) (Specify size M or L, please) $25 ea. Send "Real Americans" T-Shirt(s) (Specify size S, M, L or XL, please) $25 ea. Send "Rule Of Law" T-Shirt(s) (Specify size S, M, L or XL, please) $25 ea. Send "Don't Tread on Me" Polo Shirt(s) ( L only, please) $25 ea. Send "Atlas Shrugging" T-Shirt(s) (Specify size S, M, L or XL, please) $25 ea. For orders of 88 or more books (any mix of titles), see the table below. After using the calculator to get an order total, send cash, a check or a money order in that amount payable to Doreen Hendrickson. Be sure to tell us what you are ordering (you can print this screen for that purpose, but specify shirt sizes as needed), and the U.S. mailing address to which you would like your order sent. We respect and are committed to protecting your privacy. We will use information we collect about you only to deliver our periodic newsletters. Your information will not be provided to any third parties. *All orders will be shipped at these rates to U.S. mailing addresses only. For shipping to other destinations, please contact us at: orders"at"losthorizons.com. **Shipment at this rate is by 'Media Mail' service. Within the lower 48 union states, this USUALLY means within a week. However, the USPS reserves the right to stretch this out for up to 5 weeks. Hawaiian and Alaskan orders WILL ALWAYS ship on a slow boat, if by 'Media Mail'. Individual books, or one book/one CD combos, can ship 'Priority Mail' at $7.00 per package. Choose the 'Priority Mail' option on the 'Order Calculator'.